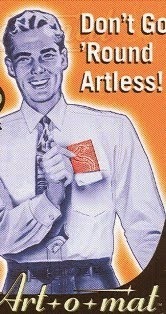 Art*o*mat® in Northern New Mexico: Ta-DA! 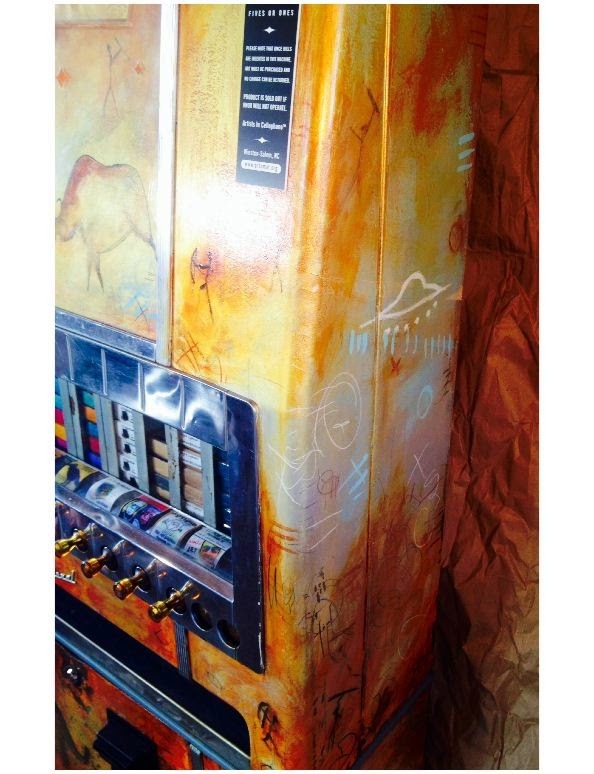 Santa Fe to welcome 2nd Art*o*mat® machine! Ta-DA! Santa Fe to welcome 2nd Art*o*mat® machine! "CaveMAT" is coming to Santa Fe! Meet "him" at the Santa Fe Community Convention Center July 11-13! I've made you wait to find out what I've been up to but here it finally is: Ta-DAAAA! 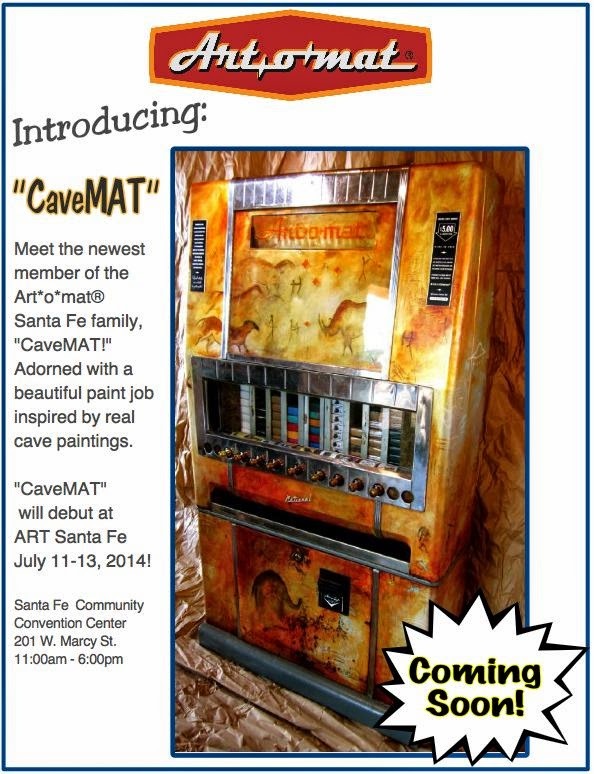 Introducing "CaveMAT," the newest member of the Santa Fe Art*o*mat® family! 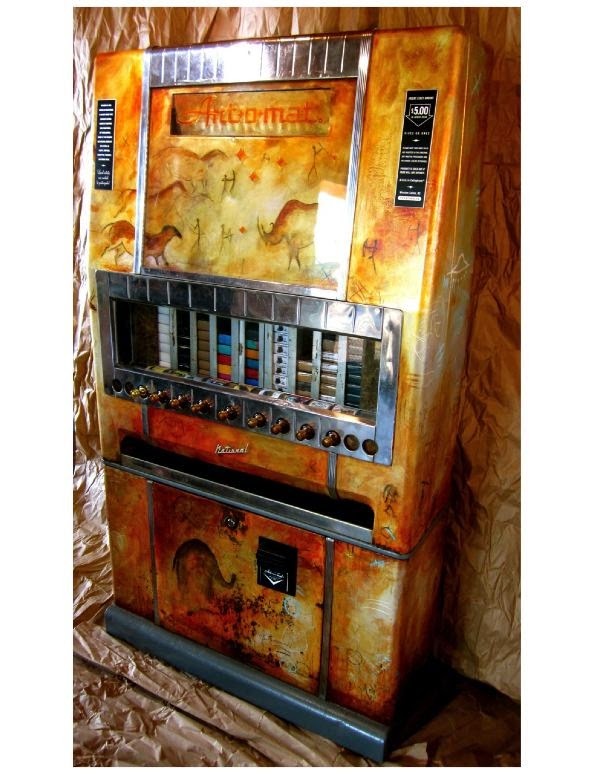 "CaveMAT" is a 1960's National cigarette machine with 9 columns for art and an amazing paint job by Winston-Salem artist, Chad Beroth. Inspired by real cave paintings and petroglyphs along with the famous "Mel's Drive-In" from the 1973 movie, American Graffiti (there is a UFO shaped cave painting on the side of the machine that represents the flying saucer shape of Mel's Drive-In), Chad has created his own version of ancient American graffiti in this Art*o*mat® machine that I have adopted and nick-named "CaveMAT." All four sides of "CaveMAT" have been artfully decorated and I'm hoping to find a big ol mirror to place behind him so he can be seen in all his glory! "CaveMAT" will make his debut at ART Santa FE, An International Contemporary Art Fair, July 11-13, 2014 at Santa Fe Community Convention Center. 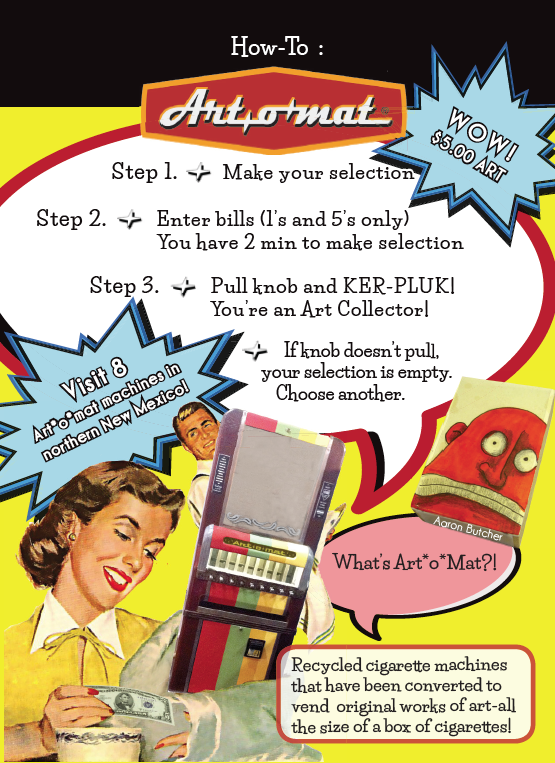 I hope you'll come to meet this fabulous member of the Art*o*mat® family and say hello to me too! I'll have blank art sample packs to give away to artists interested in making art for Art*o*mat® and a few cool Art*o*mat® buttons to hand out as well. BE THERE: 201 West Marcy Street July 11-13, 11:00-6:00pm! 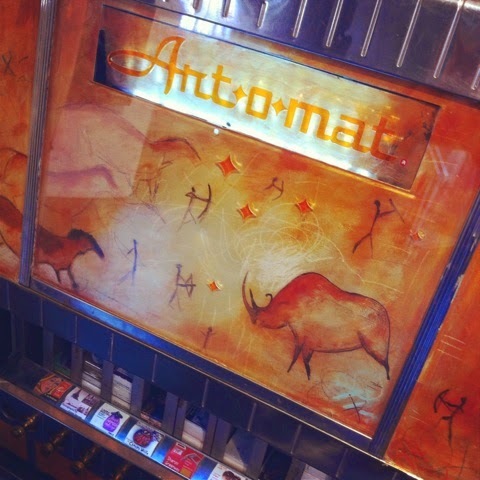 Check out the sweet Art*o*mat® sign in transparent orange plexiglass! There's the "Mel's Drive-In" tribute flying saucer on the side! Fall in love with "CaveMAT!"